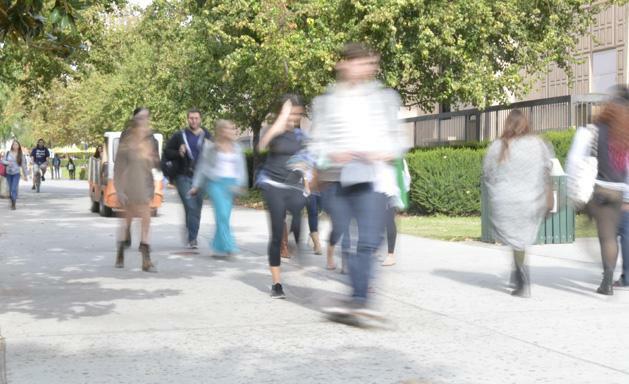 Northridge athletics had amazing seasons in men’s and women’s soccer, both making it to the NCAA tournament and grabbing their respective Big West titles, while women’s volleyball battled its way to a third-place finish in Big West via a 21-win season. Each team had multiple postseason accolades and Big West nods to celebrate, while some key players rewrote the CSUN record books. Here are the athletes that have been chosen as the standout players of the fall semester. 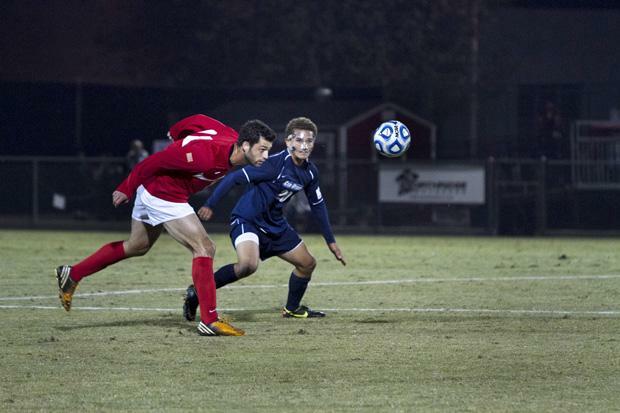 Lev-Ari played in all of CSUN’s 22 matches, started in 21, and led the Big West in goals with 15 on the year. In postseason play, the sophomore won Big West MVP honors after scoring two goals in two games, both game-winners. He was named to the Big West Second Team in only his first season with the Matadors and tallied 30 points in 2012.
to also being selected to the NSCAA All-West Region squad. Jacobo makes 106 saves on the year and finishes her career with CSUN records in career victories (33), career shutouts (27), career minutes (6,058:07) and career GAA (0.94). Rivas came into the season as a member of the Big West Preseason All-Conference Team and didn’t disappoint in 2012. The sophomore did a little bit of everything for CSUN scoring eight goals, tallying four assists and putting up a team-high 31 shots on goal in 20 starts. 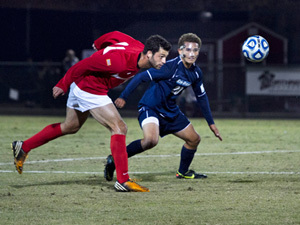 Rivas scored two winning goals for the Matadors and was selected to the Big West First Team for his efforts at forward. Gedryn, a 2011 Big West First Team honoree, was the driving force behind the CSUN attack game and tallied 1,159 assists in a team-high 118 sets in 2012. The setter averaged nearly 10 assists a set and had a hand in 140 blocks, 16 solo. She also managed to place 19 service aces and blasted 161 kills en route to 258 points for CSUN. Gedryn was again named to the Big West First Team after this season. Franco came into his senior season on a mission to claim the Big West title and did so with solid leadership on a defense that frustrated conference opponents all season. Franco and Co. held their opponents scoreless in both Big West playoff games en route to the title while Franco claimed Big West Defensive Player of the Year for 2012. Ortiz was solid on defense for the Matadors with 556 digs, bringing her total count to a CSUN record 1,456 digs. Ortiz also contributed in assists with 102 on the year, good enough for second on the team, and 22 service aces. Despite coming on the team as a walk-on, Ortiz will walk away from her senior season as one of, if not, the greatest libero the Matadors have ever had. Turcios played a vital part in his inaugural season with the Matadors. The midfielder had six assists, good enough for third on the team, on the year and scored his first goal on Sept. 28 against UC Davis in a 2-0 Northridge victory. Stinson had a great season with 210 kills in 103 sets with her best game coming against Long Beach State on Sept. 27 when she swung for 18 kills and hit .389 percent. She also had 89 blocks, 10 solo, and two service aces on the year. West led the Matadors to its first-ever Big West title with a 6-1-2 record in conference, good enough to send CSUN to its first NCAA Tournament in school history. Davila earned the Big West and NSCAA West Region Head Coach of the Year awards after leading his team to its first-ever Big West championship victory with a 7-3 conference record. The title gave CSUN its first trip to the NCAA tournament since 2005.